In addition to working with our highly-acclaimed clinicians throughout the week, JMU Summer Band Camps participants will also have the opportunity to use many of the amazing facilities on the JMU campus. Campers will reside in some of the newest and recently renovated residence halls, have three meals each day at one of our two buffet-style dining halls, and rehearse and attend sessions in a variety of academic buildings, athletic facilities, and outdoor spaces. Concert Band participants will also have the opportunity to work with JMU School of Music faculty and guest artists as they attend sessions, masterclasses, sectionals, and full-band rehearsals in both the Music Building and the Forbes Center for the Performing Arts. The JMU Summer Band Camps experience also offers a variety of recreational activities throughout the week. 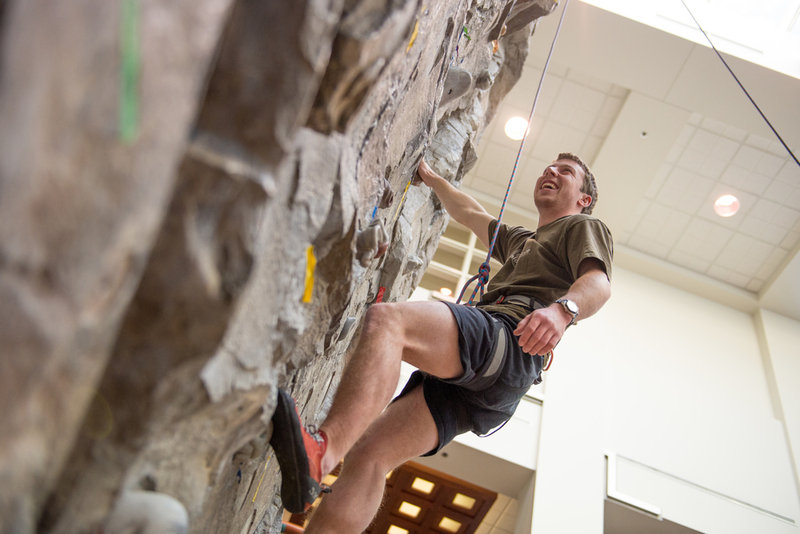 UREC Night – the JMU Summer Band Camps participants will have access to our newly expanded and renovated University Recreation Center for an evening of games and fun – access to basketball and racquet ball courts, indoor tracks, swimming pools, and our climbing wall. If you’re interested in using our swimming pools (including a new activity pool), please make sure you bring your swimming gear and an extra towel. PLAYFAIR - We welcome back the Playfair team to lead our opening session for all camps at Bridgeforth Stadium. MOVIE & GAME NIGHT - Students will be able to watch movies chosen by the camp membership, or play various games at one of JMU's student centers for an evening of relaxation and leisure. FAREWELL DANCE & KARAOKE NIGHT - Camp will conclude with our traditional dance and karaoke night at the JMU Festival Conference Center - refreshments provided! Use of state-of-the-art Music and Athletic Facilities, including: School of Music rehearsal rooms and practice rooms, the Forbes Center for the Performing Arts (opened 2010) Concert Hall and rehearsal space, Bridgeforth Stadium (renovated and reopened fall 2011, capacity of 25,000+), Athletic fields, and University Recreation Center (newly expanded in 2016). Use of JMU's state-of-the-art residence halls and dining facilities. Participants will enjoy using our newest residence halls (Shenandoah, Chesapeake, and Gifford Halls) as well as our state-of-the-art dining facilities. Leadership components for every camp are designed not just for current or aspiring student leaders, but also for all musicians and all levels! Concert Band participants will work with JMU Director of Bands, Dr. Steve Bolstad, and have an opportunity for master classes and private lessons with JMU School of Music faculty members and guest artists. Drum Majors and Marching Band participants will receive special training in teaching marching and music, in addition to their basic instruction. Colorguard participants will have an option to select a special weapons camp, featuring rifle and sabre. Colorguard and Drumline participants who are interested in performing with the Marching Band Camp component will have an opportunity to audition for a spot during the first day of Summer Band Camps.